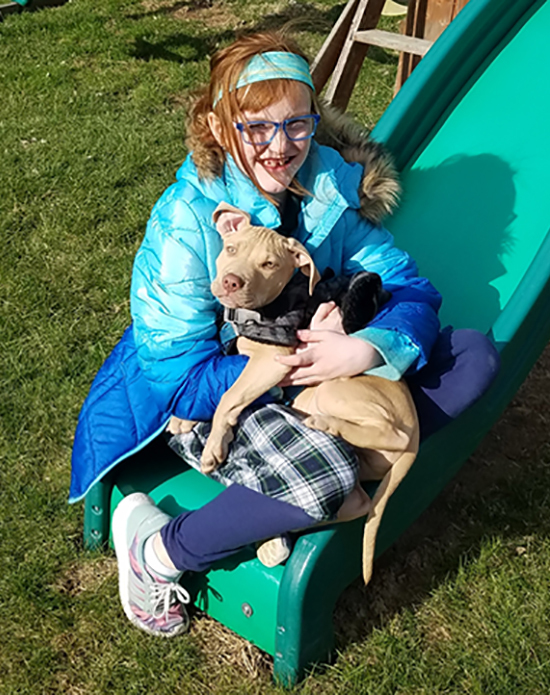 One month after their beloved Golden Retriever, Mack, died unexpectedly of cancer, Rachelle and Jason N., with some prodding from their daughter Averi, decided the time was right to adopt a new canine family member. So the family decided to visit their local humane society, Citizens for Humane Action (CHA) in Columbus, Ohio. CHA is one of many important placement partners the ASPCA relies on to take in animals rescued from cruelty and hoarding cases. 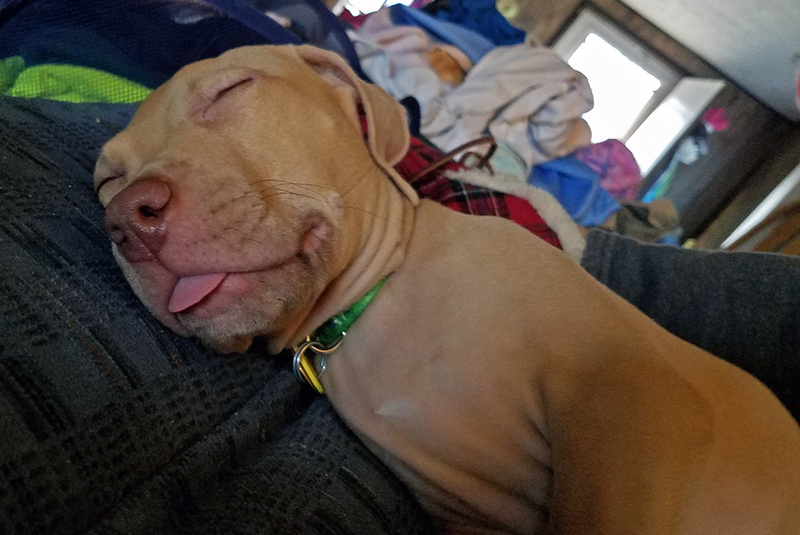 It didn’t take long for the family to connect with a special young dog. 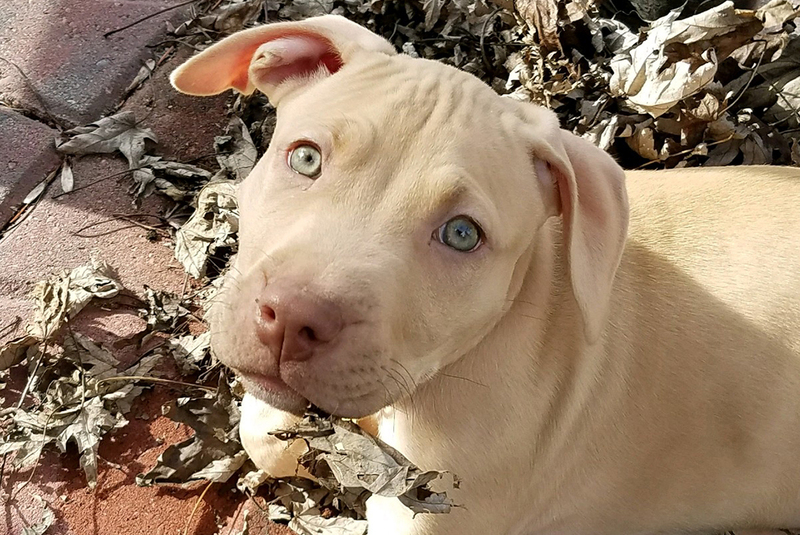 When a shelter employee showed them an eight-week-old, tan-colored pit bull puppy with gray-green eyes, they knew that he was meant for them. 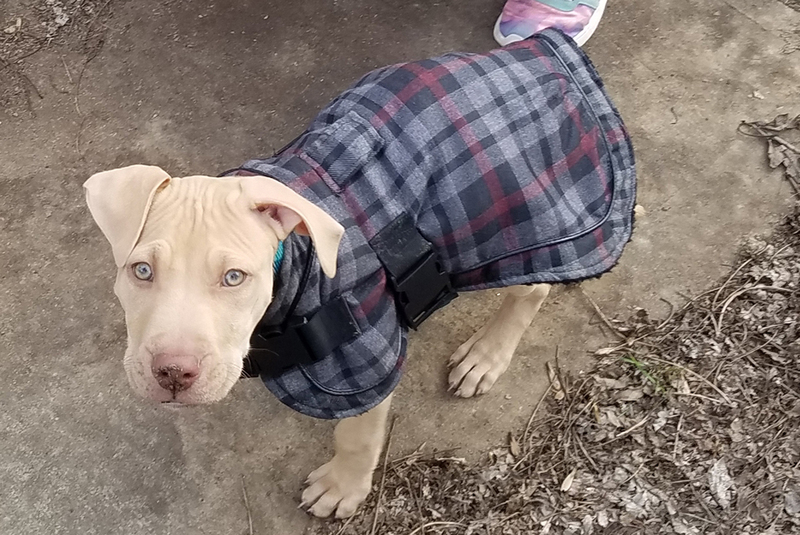 Xander, as he is called today, was one of 50 dogs rescued by the ASPCA’s Field Investigations and Response (FIR) team and the Adams County Sheriff’s Office from the Natchez, Mississippi, dogfighting case late last year. After their rescue, he and 12 other dogs were eventually transported to CHA for adoption, where they have all since found loving homes. Today, far from his beginnings in Mississippi, Xander’s world revolves around Averi’s. Xandy or Xan-man, as he’s also known, accompanies Rachelle to pick up Averi at school in the afternoons, as well. 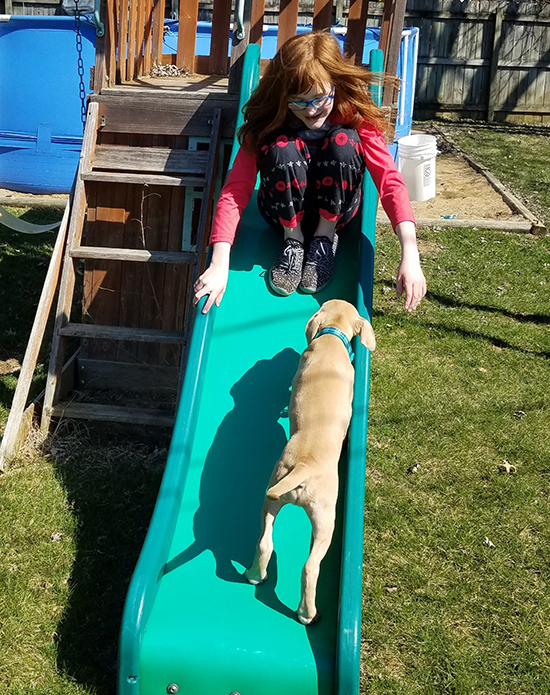 Xander is learning to walk on a leash, and a fenced-in backyard provides ample space for off-leash activities, primarily his favorite stunt: running as far up the playhouse slide as he can before succumbing to gravity. He brings Averi out of her shell and boosts her confidence, according to Rachelle, whose passion for animal science and behavior—particularly the human-animal bond—she is passing on to her daughter. Xander is enrolled in puppy training and obedience classes and ultimately, the family hopes to take on agility work as a team. Xander also has a feline friend in Cookie, one of the family’s cats who tolerates his affectionate licking. 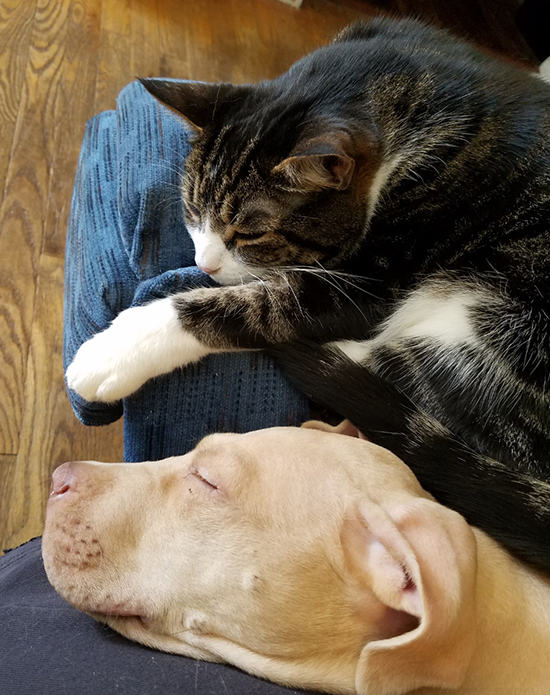 The other cats are all rescues who are taking their time getting know the newest, exuberant family member. 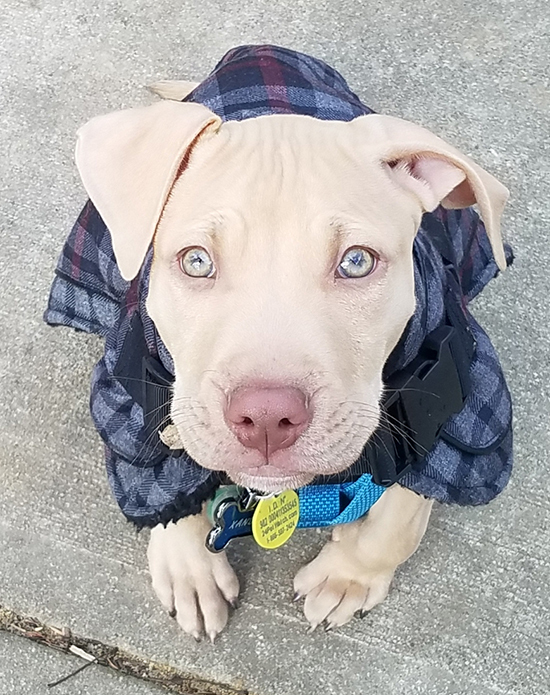 “Xander is proof that despite pit bulls’ tarnished reputation, they can be some of the most loyal and loving family pets,” says Rachelle, who has been candid with her daughter about Xander’s background. “She knows how passionate I am about animals, and I want her to be aware and educated,” says Rachelle. Far from his past, both literally and figuratively, Xander’s chance at a new life coincided with a family’s loss, and turned out to be everyone’s gain.